Jon and Tyrion greet each other with the words that have been used against them as weapons, sharing a knowing smile. Melisandre reveals that she’s finally brought ice and fire together. I hoped that Daenerys and Jon would immediately get along. It felt like watching two friends who I’ve hyped up to each other finally meet. 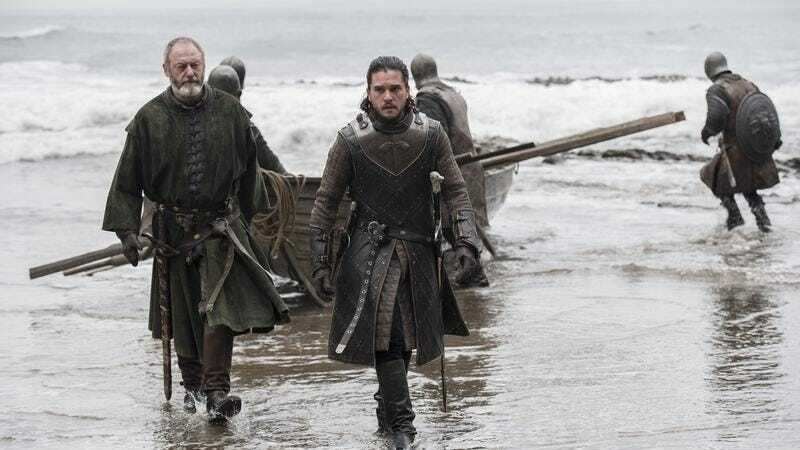 We know Daenerys and Jon have more in common than they could imagine and there’s enough history and potential between Tyrion, Daenerys, Jon, and Davos that I began to resent any time away from this long-awaited meeting. The resolution of this meeting between the two people who could possibly stop the White Walkers and The Night’s King felt too convenient and felt like another opportunity for Tyrion to monologue the conflict into submission. There was a lot left on the table between these two. For example, Daenerys is curious about Davos almost mentioning Jon’s return from the dead. Even though this episode felt packed to the brim and sometimes unwieldly, the strongest moments were spent with Cersei, Sansa, and Daenerys: three daughters who were never supposed to rule, wading through their pain and suffering to shape The Seven Kingdoms. A lot has been said and written about the sons in this story who were never meant to rule (Tyrion, Jon, even Sam) but this season is shaping up to be an examination of these women. Daenerys is trying to conquer the world in a civilized, orderly manner, being advised by Tyrion and Varys. She tries to bring Jon to kneel by bringing up a centuries old alliance between the Targaryens and the Starks, reminding him that Torrhen Stark swore fealty in perpetuity. Jon Snow knows what “perpetuity” means, right? For all her talk of revolution and upheaval, Daenerys is trying to recreate a system of order from centuries ago, before Westeros was tossed into chaos and her family was still on the Iron Throne. Unfortunately for Daenerys, Jon’s sights are set on a bigger enemy. Fortunately for Jon, she has empathy for him and can be persuaded to give him access to the dragonglass (thank God someone finally called it obsidian) underneath Dragonstone. Meanwhile, Cersei is back in King’s Landing being vengeful and violent. Cersei gleefully accepts Euron’s gift of Ellaria and her daughter, Tyene, and promises to give herself to Euron as a thank you and a tactically convenient marriage after this nebulous war is over. In the dungeons, Cersei kisses Tyene Sand with poison on her lips. Ellaria is chained up across from her daughter and must watch her die. Cersei lashes out at the world and recreates whatever horror has been done to her to someone else. Finally, there’s Sansa, ruling Winterfell in Jon’s absence. Sansa is doing what she’s always done: survive. She’s making plans for Winterfell to survive the winter and advises adding leather to armor to protect against the cold. Sansa is practical and she navigates the world with a weary demeanor. She dismisses Littlefinger’s advice to prepare for every possible outcome and see the world as a place of unimaginable horror. Littlefinger is telling her to be a little more like Cersei, always two steps ahead. The difference between Sansa and Cersei is that she has no desire to repeat what has been done to her as an act of vengeance. His line also foreshadows the return of Bran to Winterfell. Sansa reminds Bran that he’s the only true living son of Winterfell, making him the lord of Winterfell, but he rejects the title with a vague speech about being the Three-Eyed Raven. Again, this moment is full of history and longing. Sansa and Bran haven’t been in Winterfell at the same time since the first season and this reunion is before Bran’s eyes can roll back into his head and turn pure white. It ultimately means very little and Bran coolly says he can’t explain what his new role means. Sansa is the only Stark in Winterfell. Again. When Sansa leaps up to hug him, we see her complicated braids, mimicking Cersei’s long hair. Even if they don’t know it, Sansa and Daenerys are learning from Cersei. Daenerys is being advised by two of Cersei’s former advisors and Sansa lived under her. Maybe that’s why Cersei manages to stay two steps ahead of Tyrion’s plans for Daenerys’ army. She knows her brother and his speech while we see The Unsullied take Casterly Rock is inspiring but Euron’s fleet is already at Casterly Rock’s shores. Jaime, finally back on the battlefield, leads the Lannister army to Highgarden to take out the only family with any financial power. 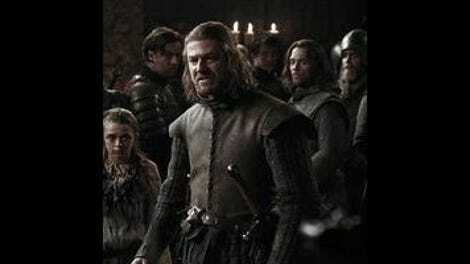 He talks about recreating Robb Stark’s strategy to ensure this victory. (Remember Robb Stark?) He’s repeating what has been done to him in two ways. One is deliberate, the military strategy and the other is unintentional, asking Lady Olenna to drink poison. She reveals that she was the one who poisoned Joffrey and declares Cersei a disease. No one is there to reign in Cersei and she’s wiping out Daenerys’ allies. We’ll see if Daenerys follows a path like Sansa and tries to avoid causing more harm or if she becomes more impetuous like Cersei. Hello everyone! I’m filling in for the inimitable Brandon. Tyrion made sure to reassure Jon that his marriage to Sansa was unconsummated. Theon continues to be cowardly and Sam gives Jorah the only bit of human kindness he’s had in months. What is the temperature in Dragonstone? Jon is walking around in several furs, the Dothraki are sleeveless, and Tyrion is just wearing a light jacket.